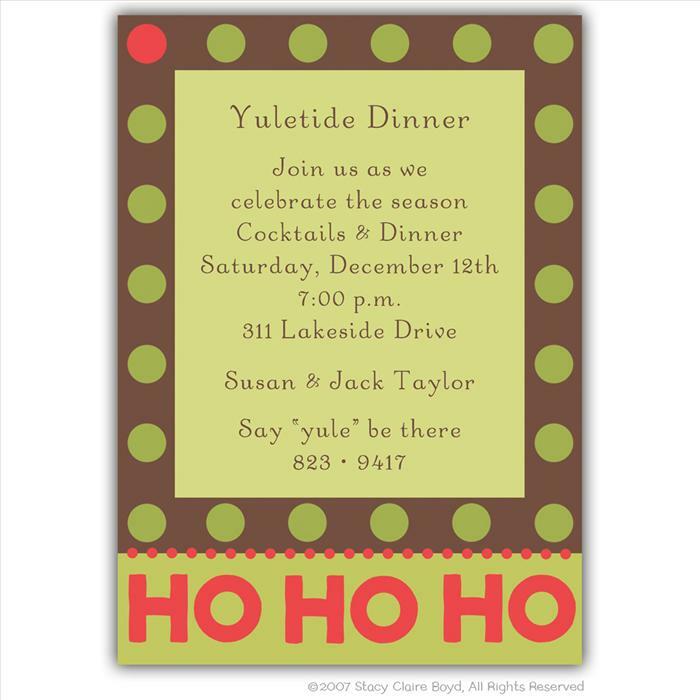 Description: Celebrate the season with family and friends with this Merry Ho Ho Ho adult stationery. The brown border has fun red and green dots on an olive background. Vertical format only. Card measures 5" x 7". Price includes up to 8 lines of text (extra lines are $5.00) Matching return address sticky or printed return address is available.